Stereotypes might be simplified images or ideas that some argue help outsiders understand certain groups of people. 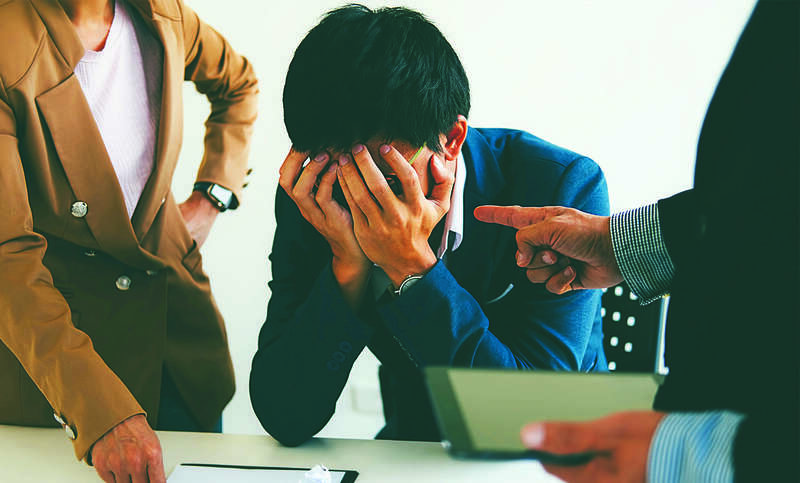 But the problem is that most stereotypes are negative, and such misleading beliefs at the workplace can give rise to conflict and misunderstanding. Take for instance the issue of age. In 2017, an American Psychological Association study looked into the rising phenomenon of reverse ageism. 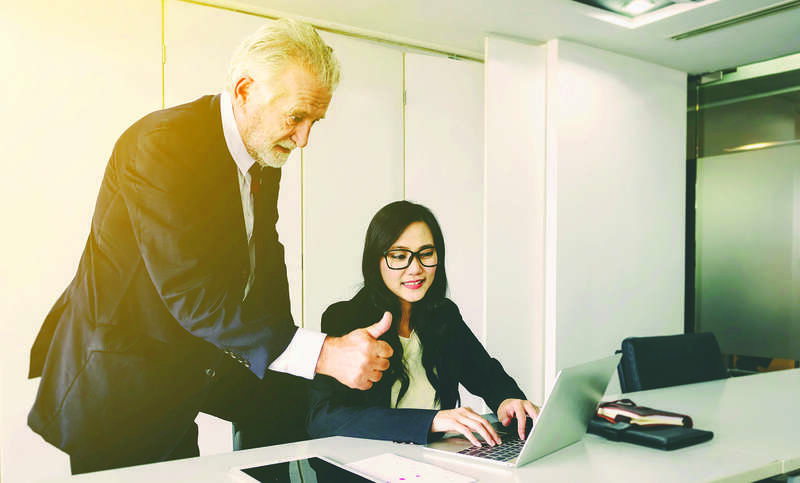 While ageism refers to discrimination and a negative attitude against older generations, reverse ageism at the workplace targets younger employees in their 20s and 30s. The report showed how younger employees actually experience equal or higher levels of workplace discrimination than older employees. According to an earlier study, 60% of office conflicts linked to intergenerational differences are caused by older workers’ perceptions of younger workers. In fact, AchieveGlobal reported in 2011 that Singapore and China endorse the strongest stereotypes about age differences in the workplace when compared to Germany, the UK and the US. 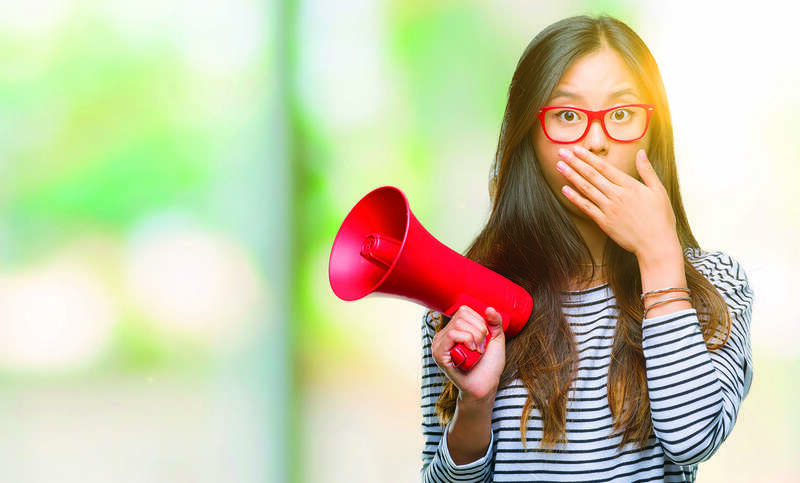 Bottom line: It’s undeniable that other generations have a laundry list of preconceived notions about millennials, and that such stereotypes have negative effects at the workplace. If such discrimination exists in the office, what more in our daily interactions? 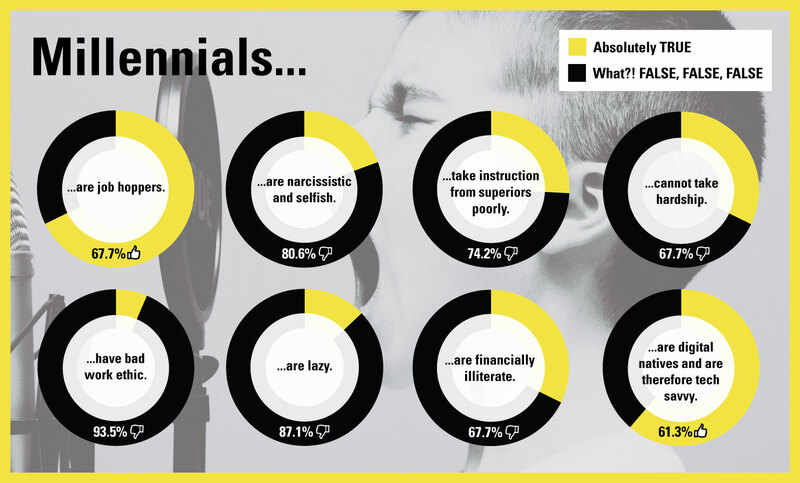 In a survey of 35 millennials, we asked them to examine some of the most prevalent stereotypes about their generation. They identify the stereotypes that are spot on, and the ones that miss the mark completely. Of the eight stereotypes presented, only two sit right with the millennials. The majority agree that millennials are indeed job hoppers and very tech savvy. On the flip side, the stereotypes that say millennials are lazy and have a bad work ethic are the most poorly received. The millennials are quick to point out that stereotypes, true or false, don't tell the full story. As for stereotypes that get them hot under the collar, respondents cite being called narcissistic and selfish and unable to take hardship as the most infuriating ones to hear. Furthermore, social factors play a key role in influencing our thoughts and beliefs, the millennials say. Each generation's thinking is shaped by the environment they grow up in, and stereotypes exist due to a lack of understanding propagated by the mass media. No matter how unjust it seems, sensationalism sells. It doesn’t take long for the world to catch wind of the latest ‘bad millennial’ story. To all naysayers: Labelling an entire generation as self-centred, entitled and lazy fails to solve anything. Rather, it creates conflict and widens the rift between generations. Every generation has their specific worries, struggles and situations to deal with. For example, one study found that student loans are the biggest factor influencing Singaporean millennials’ career decisions. And while millennials might have different markers of success, our fundamental goals are the same as any other generation's. 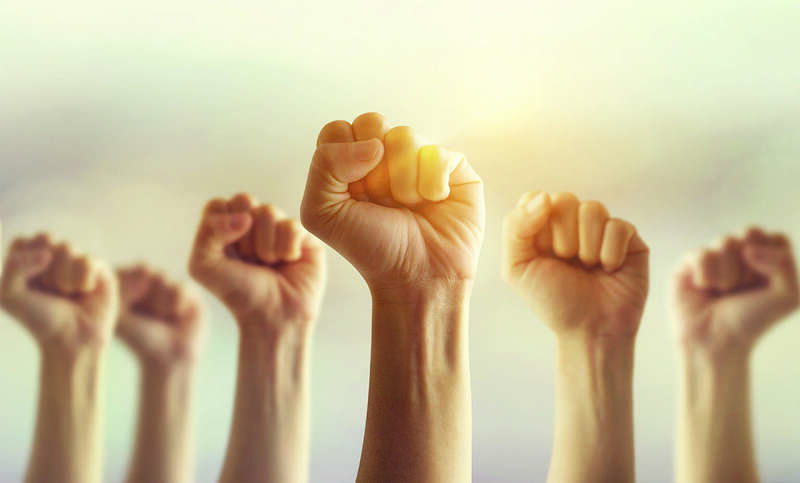 We want a decent career, a cosy home, retirement savings – and ultimately – happiness and fulfilment. So the next time you’re about to lash out at another generation, stop to consider what they might be going through. And think about whether your assumptions are based on reliable observations – or on popular but fictitious stereotypes. If this article resonated with you, check out our other post on closing the gap between generations at the workplace.